Why Am I Constipated On A Raw Food Diet? What Can I Do? Recently, I tried going low fat raw vegan and became even more constipated than what I already am. It seems like the more fruits and vegetables I eat the more constipated I become. I don't why as you'd think it would have the opposite effect. I did have to stop following the diet due to being so constipated. I really want to make this diet work, but don't know how. I felt really great other then the constipation, which then gave me stomach pains, gas, and bloating, but even my skin got this glow and smoothness I'd never seen it have before except when I was really young. Just want to mention that I have a condition called POTS (Postural Orthostatic Tachycardia Syndrome, which is a condition of Dysautonomia (autonomic dysfunction) that is a broad term that describes any disease or malfunction of the autonomic nervous system. This causes me to have a lot of problems including severe abdominal pain and severe constipation among other symptoms (very similar to IBS and IBD) that requires me to have to take MiraLax three times a day and even then I'm still not able to go. I know being on MiraLax has definitely made the situation worse so I really want to get off of it just don't know how. I've been dealing with this for 11 years and I'm so sick of being sick. Is this something that this diet would help? I don't really know how to start, but I know this is the diet that could help me a lot maybe even fully recover in time. What should I be doing first? Should I fast? If so, how long? What should I be eating like as far as fruit goes? Also, I can't tolerate vegetables. Do you have any recommendation? If so, I'd really appreciate it. We generally do see a rapid return to normal bowel function for those eliminating harmful foods and adopting healthy raw food diets. Bowel movements become more frequent, better formed, and quicker to pass. However, you've introduced a whole new level of complexity due to your history of bowel dysfunction and your built-up reliance on drugs to get your bowels to move. Ever notice that at first coffee seems to give you energy, but when you stop taking it suddenly you realize that it wasn't giving your extra energy at all, but rather drawing on your reserve to stimulate you? The only way you get over that kind of addiction-and it is indeed a chemical addiction- is by stopping things cold turkey and letting your body recover via sleep. It's the same deal with your bowels and those drugs, but while you can do without coffee and feel tired for a few days, being unable to have bowel movements is a serious issue that can be very uncomfortable. As someone who once had regular constipation while suffering from colitis, I know. So what should you do in your tricky situation? Before you try something more dramatic, see if a modified raw diet will work. Sometimes I work with coaching clients who have problems with vegetables and various types of fruits because their systems are weakened. I usually have them eat just melons for 1 to 2 weeks, and it often allows them to have bowel movements again. Literally, they only eat sweet melons, and that's it. So watermelon, cantaloupe, casaba, honeydew, crenshaw, Persian, or any other kind of sweet, ripe melon. 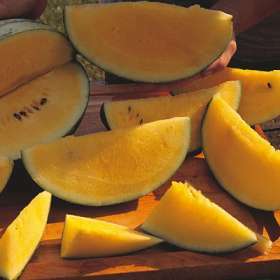 One type of melon per meal. It's critical to make sure you're eating enough calories to sustain your weight or you'll surely face cravings that will knock you off track. Remember that melons are among the lowest fruits in terms of calorie content, so you'll need to eat a much greater volume than you would if eating bananas or dates. At the same time, make sure you sleep as much as you physically can, and also exercise every day. Sleep is critical for healing, and exercise stimulates bowel movements. Although your system will not recover while you're on those medications, I cannot legally tell you to get off them or off any treatment advise. It's possible that the above technique will not be enough due to how badly your system has been compromised and the continued demands of digestion not allowing your system to rest. Getting you off drugs and to a state where you can have regular, full bowel movements may require a long-term medically-supervised fast, which would let your intestines rest and recover. Dr. Douglas Graham runs a fasting retreat once a year which you may wish to consider. Another option is the True North Health Center in California, which is run by Dr. Alan Goldhamer.